Kirk Weixel reviews "Fierce Kingdom" by Gin Phillips. For the next two and a half hours, Joan, with Lincoln under her arm or close by, does everything she can to keep the two of them safe. At first she wonders if they, like trapped animals, should try to escape, but the killers are at the entrance. Since a day at the zoo is Lincoln’s favorite pastime, Joan knows every inch of the place, but the buildings and shelters she could run to are the very ones the killers can head for or smash open. Joan doesn’t yet know who these killers are, or where they might next appear. The violent world that has trapped her forces her to remain calm when she is terrified, to warn her son of danger but not panic him, to run—in flimsy sandals, I might add—when she’s exhausted, and to find safety in a land of savage beasts. Joan thinks of all the possibilities and revises them as she must. When Joan encounters other hostages to this misfortune—a snack bar worker, a retired teacher, a baby hidden in a trashcan—she wonders, is she responsible for them, too? Her main duty, as she knows, is to keep Lincoln alive through all of the horror. “Fierce Kingdom” is billed as a thriller, and rightly so, but the novel is driven as much by character as by action. In two brief chapters, before Joan hears the pop of bullets, Phillips brings mother and child vividly to life. Any attentive parent will recognize Lincoln’s love of word play and superheroes, and the way Joan is living half in her son’s world and half in her own. While Lincoln plays with his action figures, Joan can pretend excitement as her son tells her that Thor has punched Loki and saved the day. These mother-son exchanges may seem incidental, but the description and dialogue will have later implications. When Joan casually tells her son that Captain America has a shield to protect him, she doesn’t realize that Lincoln will soon need a shield of his own. Even something as simple as Joan’s getting poked in the hip with one of Lincoln’s plastic spears will have an ominous parallel later in the book. Like viewing a painting by a master, “Fierce Kingdom” offers new discoveries with every reading. Gin Phillips deserves all of the praise she has received for this exceptional novel, and I’m nominating her central character, Joan, for mother of the year. Reviewer Kirk Weixel is professor emeritus of English at St. Francis University, Loretto. He teaches literature and creative writing. “Rolling Blackouts: Dispatches from Turkey, Syria, and Iraq” by Sarah Glidden is a graphic novel that asks, “What is journalism?” This book, recipient of the 2017 Lynd Ward Graphic Novel Prize, follows the author as she accompanies two reporter friends and an Iraq war veteran into a highly complex political region. Throughout the trip, the reader sees how refugees, government administrators and military personnel react to journalists and tell their personal stories. One of the joys of being a Middle Earth enthusiast is that, over forty years after the death of J.R.R. Tolkien, new works from his papers continue to be published - a remarkable feat for any author. No matter how regularly this happens, news of a new Tolkien book still manages to surprise as well as delight. 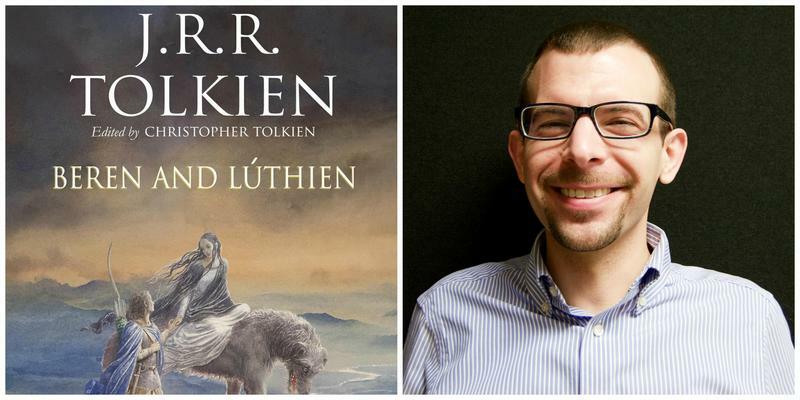 My own joy at hearing of the forthcoming publication of “Beren and Lúthien,” edited by Tolkien’s son and literary executor Christopher Tolkien, left me quite literally jumping up and down with excitement, to the mild bemusement and possible chagrin of my co-workers. 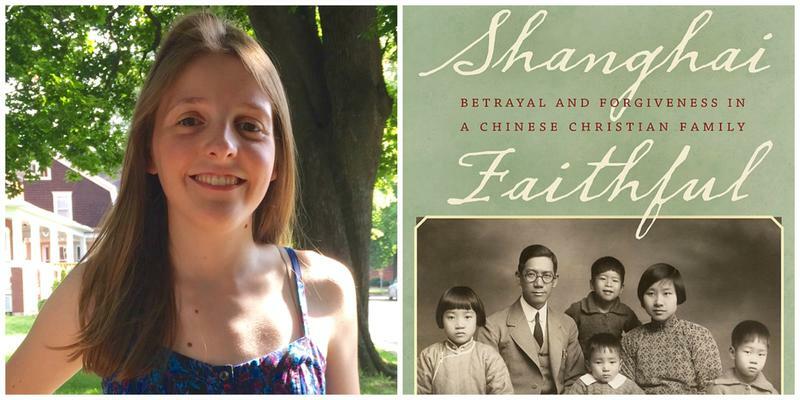 “Shanghai Faithful” by Jennifer Lin is a memoir that takes us through three generations of the author’s Chinese family. Their fate is heavily intertwined with the spread of Christianity in China. The author is an investigative journalist who reported for The Philadelphia Inquirer for 30 years. As a journalist myself, I appreciate the writing style and story structure as well as the details Lin pulled together from interviews with her relatives.